Fighting the effects of aging is a common goal for people. One way to do it effectively is to eat the right kinds of food. 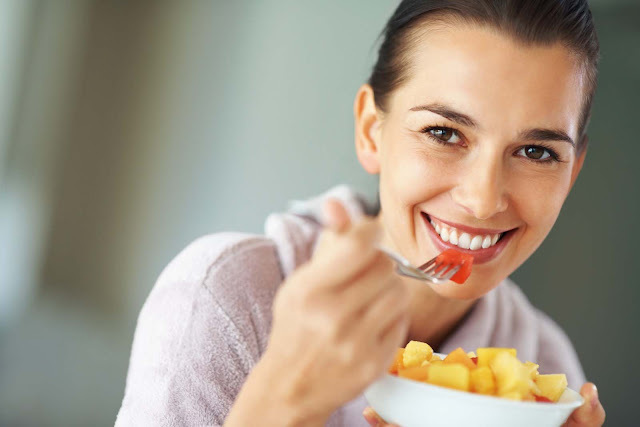 You may not be able to stave off aging completely, but consuming certain foods will certainly help you in your battle. You already know that leafy greens are one of the best health aids you can consume. They help boost your health in many ways, including by introducing a plethora of antioxidants. Leafy greens should be the base foods for any healthy diet. They are awesome to eat and very healthy. Oranges are great for anti-aging purposes because they’re loaded with water, which helps keep your body and skin hydrated. They also contain a real dose of collagen, which keeps your skin healthy and looking young. Oranges can be eaten whole or turned into juices that are divine to drink. Brown rice is already well-known as a healthy food. It isn’t lacking in fiber like white rice is and it’s loaded with Vitamin B1. That makes brown rice perfect for preventing wrinkling of skin. Brown rice is also inexpensive and incredibly tasty and versatile. Brown rice goes with many other foods to make a perfectly blended and enjoyable meal. Red peppers contain more than 300% of your daily requirement of Vitamin C. Add in the B6 and magnesium they contain and no sane person who is fighting aging would leave these out of a balanced diet. Incredibly tasty red bell peppers add more nutritional value than many alternatives. This anti aging food can easily be added to cooked dishes like pastas or eaten raw in salads or healthy wraps. Cinnamon comes in handy in your diet because it blocks the growth of certain bacteria. It’s also been known to boost your innate brain power, which always helps when you’re aging. It also reduces your levels of cholesterol, triglycerides, and glucose which is a very good thing indeed. Put berries on your list for the simple reason they fight cellulite. Berries are rich in glorious antioxidants which help you fight the unsightly condition known as cellulite. Berries also taste delicious, which makes them extremely easy to introduce to your diet. Add a few berries in your favorite drinks for a bit of extra taste and some healthy goodness. The herbs which are commonly classified as “Mediterranean” are ones to add to your diet if you’re serious about detoxing and anti-aging. Consider oregano in particular. This anti-aging miracle herb has twenty times the antioxidant power you’ll find in other words. Basil, parsley, and rosemary should also be added to your arsenal. Both walnuts and cashews are good additions to your mix. They contain antioxidants and are both great sources of copper, which tends to be missing from many people’s diets. These powerful foods can do a lot of the heavy lifting involved with keeping you looking and feeling younger than ever. Too many people try to neglect the importance of diet. Exercise and diet are huge factors when it comes to fighting the impact of advancing years. The right foods can detox you and introduce important anti-aging properties to your body.